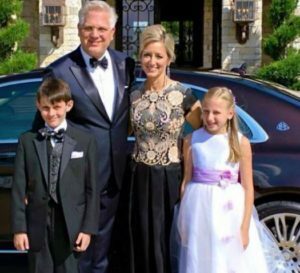 Glenn Beck Net Worth 2018 – How Rich Is He Actually? Glenn Beck is a powerful conservative radio host, political commentator, filmmaker, author, and entrepreneur. Becoming rich as a news anchor and political commentator can be extremely difficult. Yet Glenn Beck has managed to become an extremely politically influential figure and businessmen. Beck is highly recognized for his on-air antics, but also appreciated for his insight into various events. How Did Glenn Beck Make His Money & Wealth? The bulk of Glenn Beck’s wealth has come from his radio and TV career. His self-titled show on Fox News, which has ran since 2006, attracts an average of 2.4 million viewers. Beck also runs a cable television channel, TheBlaze TV. He is the CEO of Mercury Radio Arts, a multimedia company which produces radio, TV, web, stage, and publishing content. In 2014 alone, he pocketed $90 million. Glenn Beck is also a successful fiction and nonfiction author. Many of his books are politically themed, but he has also several books for children and young adults. He has reached #1 on the New York Bestsellers list in the categories of paperback nonfiction, hardcover nonfiction, hardcover fiction, and children’s picture books. Being a prominent political authority, Glenn Beck is highly sought after for major events such as speeches and rallies. He is paid large checks for his presence at various events, and also hosts many of his own rallies. How Did Glenn Beck Get Rich? Glenn Beck was born in Everett, Washington to William Beck and Mary Clara. The family has German heritage. The family later moved to Mount Vernon, Washington, where they opened a bakery. While Beck cared much about his family’s business endeavors, what he most loved was radio. He fell in love with the medium after his mother gifted him a collection of Depression-Era radio shows. Growing up, Beck would constantly listen to radio programs and practice when he had time. He landed a job as a guest DJ when he was 13 thanks to his passionate practice. He later got another DJ job in Seattle when he moved in with his father. When Beck was 13, his parents divorced. Glenn and his sister moved to Sumner, Washington with their mother. He attended a Jesuit school nearby. Soon after the move, Glenn Beck’s mother Mary drowned in what seemed to be a tragic boating accident. He was only 15 at the time. Although it seemed like as freak accident at the time, Beck has described her death as a suicide in several interviews. Prior to the incident, Mary Beck struggled with alcoholism and depression. As a result of his mother’s death, Glenn Beck moved to Bellingham, Washington to live with his father. 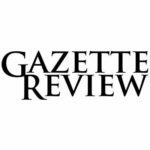 He moved to Provo, Utah, after graduating high school to work for radio station KAYK. But the city was not ideal for him, and he left in 1983 to travel the country in search of the best radio gig. He picked up jobs in cities all over the country in his 20s. Despite his early successes, Glenn Beck had many issues throughout his life. His family was broken, and he lost his mother and step brother to suicide. Beck became an alcoholic as a result of his depression and anxiety issues. Additionally, he had smoked marijuana daily since the age of 16 cope with the stress. Beck even dabbled in hard drugs. Beck and his wife divorced in 1994 due to his substance abuse issues. Depressed, addicted, and suicidal, he desperately looked for a way out. Things changed after Beck attended his first Alcoholics Anonymous meeting. That same month, he stopped all substance abuse. After years of job hopping, Beck finally landed his big break. He had managed to build a name for himself despite his many struggles. His self-titled radio show first aired in 2000 on Tampa’s WFLA. It quickly became successful and was launched on 47 stations as well as well as 280 terrestrial stations. In 2006, Glenn Beck switched from radio to TV. He hosted the Glenn Beck Show on CNN’s headline news, which became the second most popular show on the network. He moved the show to Fox in 2008, where he also had a segment on The O’Reilly Factor. 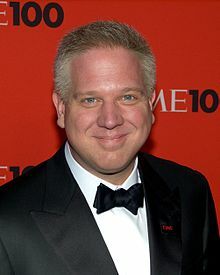 However, Beck’s unorthodox and often provocative style made them worry about Glenn Beck’s impact on their image. Glenn Beck’s brand of satire was sometimes hard to interpret, and he insulted Obama constantly. The show was cancelled in 2011, but Beck was unphased. After his departure from Fox, Beck started TheBlaze TV, an internet based subscription TV network. First called GBTV, it generated over $40 million in revenue during its first year alone. During his radio and TV career, Glenn Beck has participated in numerous political events and written many books, which pulled in even more money. Glenn Beck married his second wife, Tania in 1999. They have four children together. Beck also has two children from his previous marriage. The family is Mormon. They live in a large modern house Dallas, Texas. In 2010, Beck was diagnosed with macular dystrophy. Although he could have gone blind. Proper treatment has helped him treat the disorder. Previous articleJames Rodriguez Net Worth 2018 – How Rich is He Really?